We are now offering custom portrait design from your photographs. Our custom portraits are created right from your photograph, so they are always accurate to the picture you supply. The portrait can be of your loved ones, your favorite pet, or just about anything you'd like. 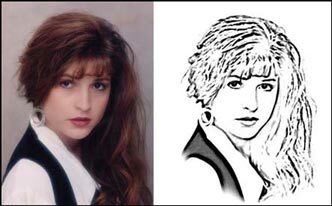 Each portrait is created from scratch just for you using a variety of digital image editing techniques. A very special gift, perfect when an ordinary gift just won't do. Contact us for more detailed information on your custom portrait.